Check out my Author’s Page on Amazon! Waiting for the Kindle edition. Thanks. Ah, the Kindle edition! I am not sure when my publisher will put it on Kindle, but I hope that she does. If you will contact me through my contact page, I will tell you how you can get a signed book directly from me. I have a limited number. As you can guess, I pull no punches (well, maybe a few as my editor wouldn’t let me get away with everything I wanted to say), in my book. OK. I will send you my info. But I have to say, I literally am out of shelf space in my house. Also, I travel to Brazil regularly to teach, so having an electronic library means it can go where I go. Please, harass your publisher about it until you get a Kindle edition out. Thanks. A.M. I am afraid you misunderstood me. I sell my books to those who will provide a good home to them, or not, if the money is right! The only people I harass are pastors, professors, and preachers who mislead unsuspecting congregations about female equality. My publisher put up her own money to publish my book and when she can put this on Kindle, I am sure she will. Meanwhile, I will send you my email address so you can purchase a book directly from me using PayPal. I hope it arrives in time for you to take it to Brazil with you. I figured that was probably the case, but I thought I would let you send me the address. I am out of the country until September, though, so I will need to figure something out. I am anxious to read it. Hi Alan, I sent the email with the address for PayPal. You’ll love the book. 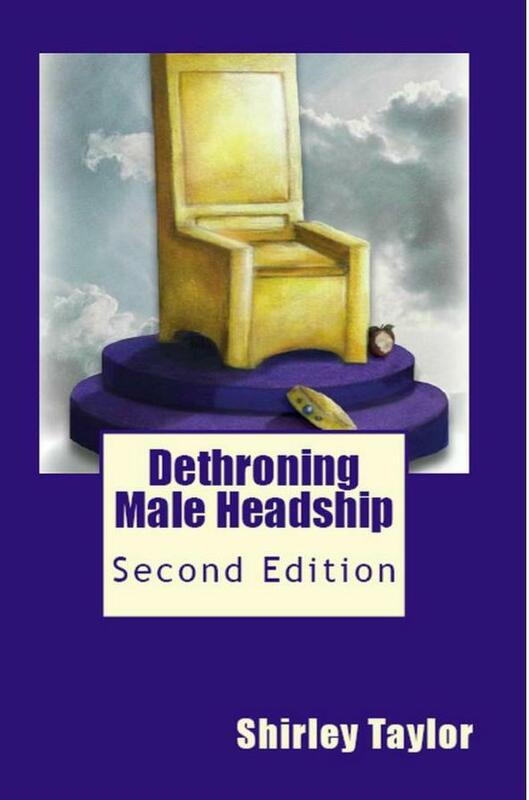 At the CBE Conference last week in Pittsburgh, a man who was receiving a Lifetime Achievement Award from CBE, told me he had thumbed through Dethroning Male Headship on the books table and thought: There is a woman who writes just like this and I bet that is her book! Just let me know when you want to purchase the book. Thanks a bunch.